on behalf of Alexander F.
Alexander is a super smart, caring, funny, talented 13 year-old boy. 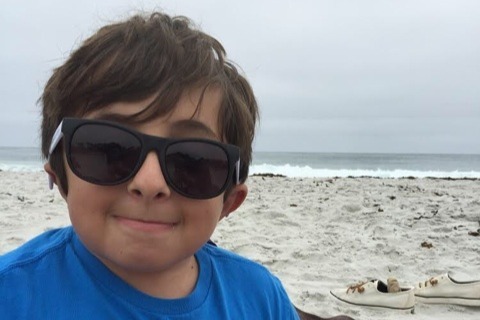 But as many of you know Alexander has Osteogenesis Imperfecta "Brittle Bone Disease". His bones break too easily. Because of his condition he often needs to use a wheelchair. His current wheelchair is too heavy and not designed for him to move independently ( the wheels are too far behind) . The insurance will not reimburse the cost of a new wheelchair for another 3 years. Those specially-fitted chairs cost over $8,000. We would like to help Alexander and his family regain mobility and some comfort. We often wonder how we can be of help and how to support him. Please donate what you can to give a wonderful young man more autonomy. Thank you! I hope you are well! Alexander’s wheelchair is here! 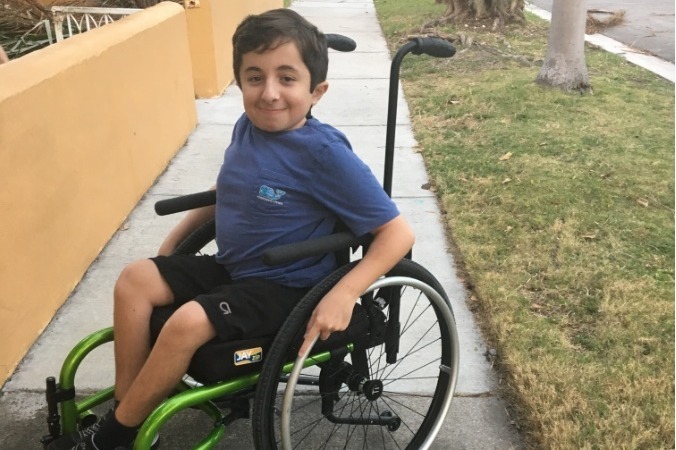 Despite a series of miscommunications with the manufacturer and missing pieces along the way, Alexander finally received his new green wheelchair! He is very excited. He can now propel himself independently in High School and the wheelchair is at least 15 pounds lighter making it much easier to maneuver. A special Thank you to Nathalie and Stephen Ponak who initiated this campaign for Alexander. Thank you to the readers of the French District Newsletter. Thank you to all of you who contributed to Alexander’s new wheelchair. Watching Alexander be independent brings a renewed sense of joy in our lives. We are moved by such generosity and thoughtfulness. This is a special moment for Alexander and in his owns words it will make his life easier. Alexander will be fitted for his new wheelchair on March 26th. We would like to thank Nathalie Ponak for initiating this campaign. Nathalie and her family have been with us through this journey and we simply thank them for their kindness and support. Thank you to the French District Newsletter for expanding this campaign and helping us reach our goal. Thank you to the French community for this new sense of belonging. Thank you to all of you who contributed to Alexander’s new wheelchair and for your kind words. Alexander will find a new sense of mobility and independence. 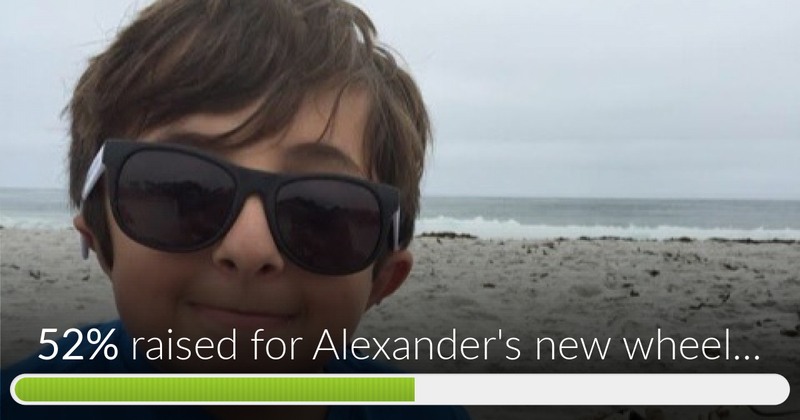 Alexander's new wheelchair has reached 52% of its goal. Thanks to all and let’s keep going!